The other day I was leading a guest lecture for American study abroad students for a program in Florence. The topic is one rather unlike the “old days” when I stood in front of classes teaching art history: these students are taking an entire course in social media for food. I was talking about my job: I do digital communications consulting and social media for various made in Italy brands, and although I don’t focus on “just food” (like single products or restaurants), my two large clients are wine resorts, so I guess I am doing food (and wine) marketing without really thinking about it. As I was talking about how we have been marketing a brand of Chianti Classico wine, I started getting some blank looks, and not just when I used words like “sommelier” (which I’m quite sure is common in English, right?). Despite their famed drinking prowess, these students knew little to nothing about wine. I asked the class if they’d already been on a wine tasting tour outside Florence and was surprised to find that none of them had, either alone or with the school. As far as local food experiences go, taking a Chianti wine tour and tasting wine where it’s made is one of my top recommendations, alongside learning how to make fresh pasta. I’m sure that you, dear reader, are much better informed, but all this got me to thinking about why I now think that every visitor to Tuscany with a little extra time should set aside at least half a day to get out into the countryside, tromp into a vineyard and find out what goes on inside a cellar. Here’s a bit more about what you’re likely to experience if you do so. 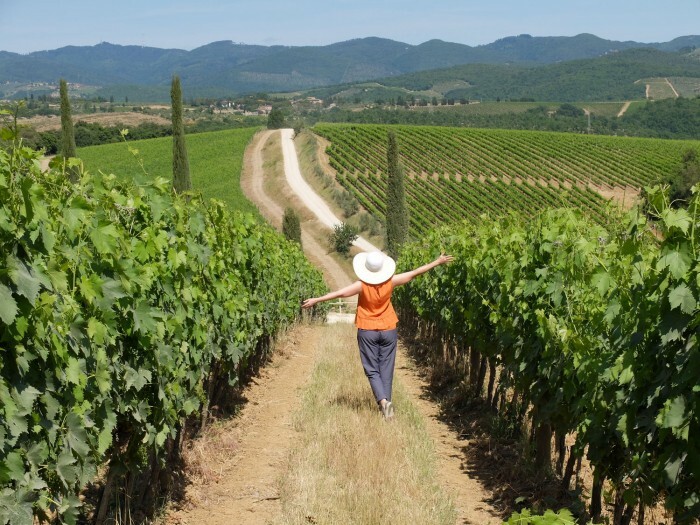 If you want to visit a winery in Tuscany – in particular in its famed Chianti area – there are a few options, but public transportation isn’t one of them. Either you rent a car (or befriend someone with a vehicle), or you take an organized tour. The problem with driving is that, unless you’re a group of five people including one person who doesn’t drink, someone’ll always be either be driving drunk, or drinking alone. Neither of these are good ideas. Hence the wine tasting bus tour was invented. There are a lot of companies offering similar options; the difference comes down to how many people are on the tour – essentially if it’s a larger bus or labeled as a “small group tour”. The good news is that you don’t have to break the bank: for example, “Ciao Florence!” offers a half day Chianti tour with bus from Florence that includes two winery visits post-lunchtime, as well as a visit to the cute town of Greve – and it costs only €45 per person. I’m a recent convert to wine. I published an article only a year and a half ago about my decision to start drinking at age 40 after 23 years of not touching a drop, so I have had to catch up very quickly. 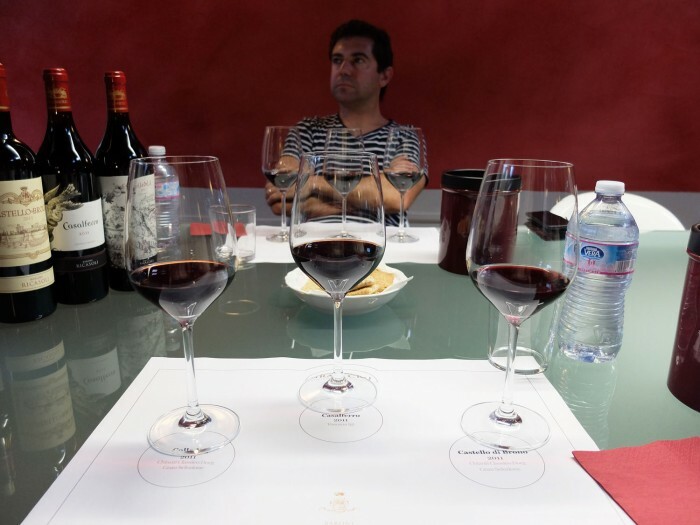 I started tasting wine because I’d been managing social media for an excellent winery in the Chianti Classico area, and after a bit more than a year of doing so, I’d learned so much about how wine is made that I was becoming really passionate about it – and a rather credible expert, too! I’d seen the whole cycle from the first buds on the vine through the ripe grapes, understood what makes a good bunch, how to tell Sangiovese from Merlot by looking at the vines, tasted ripe grapes while picking them, seen them be pressed, smelled fresh fermentation in the cellars and attended wine fairs… all without drinking a drop. It was high time to start, right? I did all this learning on location at the winery, and also had the occasion to visit some other wineries and see how they did some things differently, so I found it all very fascinating. Just as my love for art history came through travel and experiencing artworks “in situ”, so my love for wine grew… between the vines! So those are some of the things you’ll learn when you visit a winery. No matter how big or small, the basic processes are the same. Most winemakers do everything on site (in some denominations, or winemaking areas, that’s part of the regulation), so you’ll get to see the vines themselves, a cellar where they actually make the wine (called vinification cellar), and then a second cellar for ageing wine (often in barrels, though not always the typical small ones you imagine). 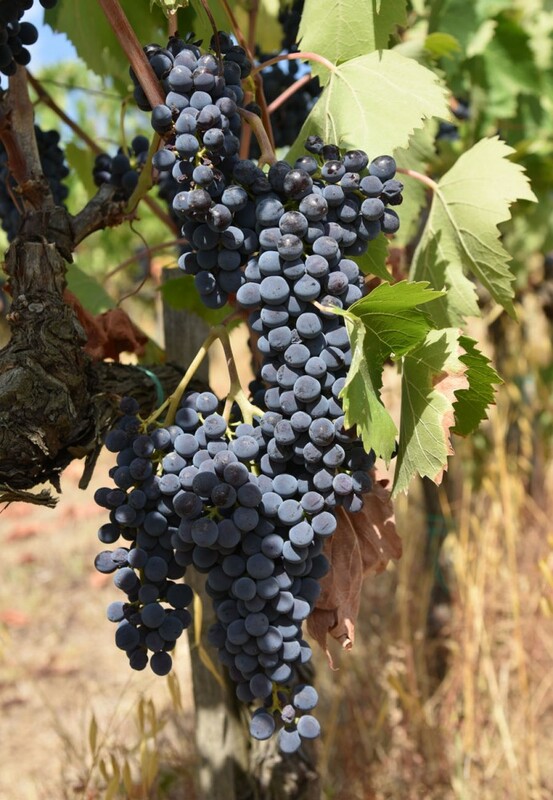 In Tuscany, grapes grow from May through September, so that’s an ideal time to visit a winery and see some action in the actual vineyard (bring your mudding shoes!). When the grapes are on the vine, cradle a bunch carefully in your hand – you’ll be amazed at how dense they feel – nothing like the kind you eat. If you’re really lucky, around mid-September you might actually visit during harvest, and get to see people picking grapes and the real action in the cellar as they are brought in to be pressed. 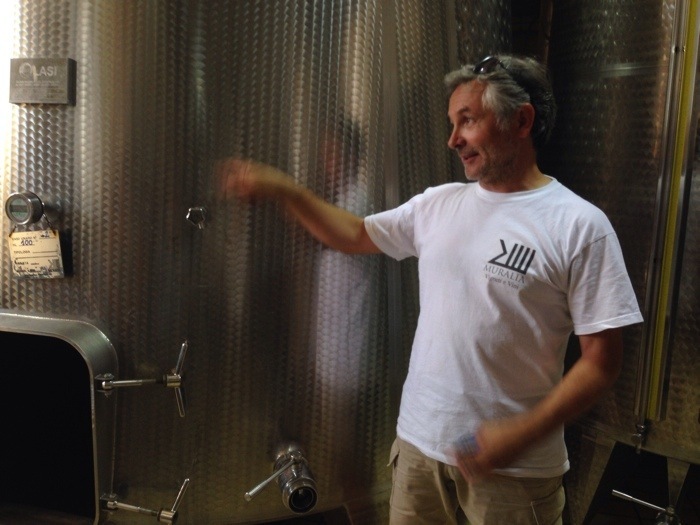 Then you’ll see the working and ageing cellars, where the guide will surely explain how wine is made in their company. If you’ve never visited a winery before, this part may be less picturesque than the vines, but really fascinating. Then of course you’ll get to taste the wine, and maybe your guide will give you some tips on the best way to do this, guiding you through the scents and flavours of this precious liquid. Appreciation of wine comes, I think, with experience – as you get to try more types, you’ll learn to distinguish between then, to pair them with foods, and to choose the right wine for every occasion. Maybe a Chianti wine tour will kick off a future career as a sommelier (which, for the record, is a professional wine taster), or maybe you’ll just have a nice day out in a beautiful part of Tuscany, an experience to share with friends and to cherish in years to come. Who knows. But either way, I absolutely recommend spending at least half a day doing this while you are here.